Last year, 24 celebrated its fifteenth birthday. In those fifteen years, there have been ten seasons and a little over two hundred episodes. Although the peak of its popularity has passed, the show continues to generate interest and excitement among fans and commentators alike. Reflecting on the series in the wake of its tenth season this year, I find myself feeling astonished by its longevity. Against all odds, 24 has outlived many of its contemporaries. Shows with far looser and more flexible formats have come and gone, having exhausted their ability to tell new stories or sustain sufficient viewership. Yet 24 continues to endure, despite having a formula that has changed little over the years, the departure of many prominent characters, and ties to a former presidential era that has since lost relevance. 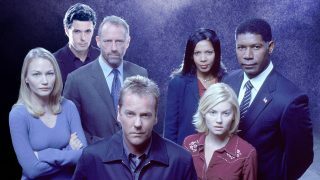 When 24 premiered in 2001, the television landscape was less populated by heavily serialised stories. At the time, networks were more reluctant to support a show where understanding an episode was dependent on having seen every previous episode. After all, any number of viewers could conceivably miss an episode and then discard the entire show due to being unable or unwilling to catch up. Arguably, there has never been a show more serialised than 24. The very nature of its story construction makes it prohibitively difficult to casually tune in at a random point and understand what is happening. This is partly why 24 has been cited as one of the first shows to popularise the modern concept of ‘binge-watching’. People prefer to wait until an entire season has aired before watching every episode in a handful of sessions. The rewards of a serialised show are great, but why would a network concerned with ratings take the risk? A procedural show, on the other hand, gives viewers the freedom to jump in at any moment and not concern themselves with understanding what has happened in previous episodes. That 24 was greenlit in the first place despite its intensely serialised nature demonstrates, in hindsight, a significant leap of faith on behalf of FOX executives. That 24 wasn’t immediately scrapped or condemned for being insensitive in the wake of 9/11 is perhaps even more extraordinary. Those horrific events just two months earlier could have tarnished the show before it even had an opportunity to test its strength. Instead, that fateful day undoubtedly imbued the story with significant relevance and potency that it otherwise would have lacked. 24 owes its identity to 9/11. The show may never have become as topical and as emblematic without it. It almost certainly would never have become a cultural and philosophical focal point for the war on terrorism. The proximity to those events quickly grew to define the show, influencing and shaping the stories it told as well as informing the nature of its eternally self-sacrificing protagonist. 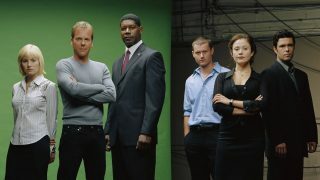 As early as its second season, 24 was both reflecting and anticipating the socio-political climate of post 9/11 American society as well as western civilisation at large. 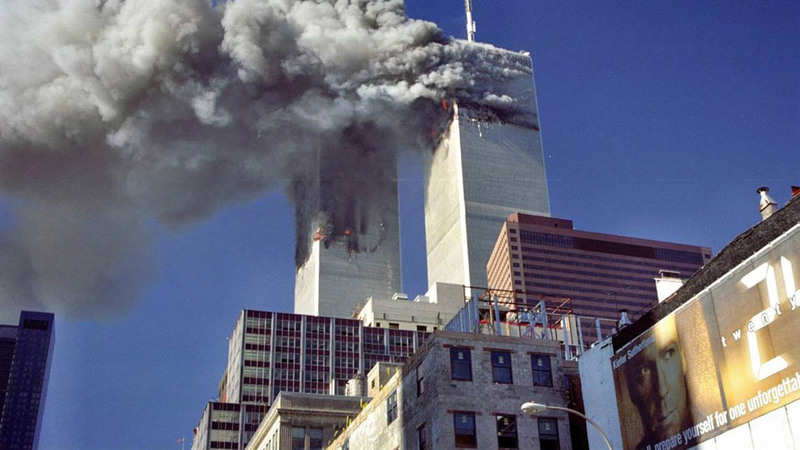 Had 9/11 never happened, it is entirely possible that the show may have morphed into something completely different and unrecognisable. The unique confluence of circumstances surrounding the genesis of 24 may explain the success it has since enjoyed. 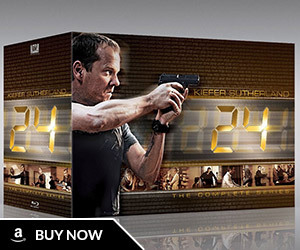 That there has never been anything else like 24 might be another factor that accounts for its long-lasting success. 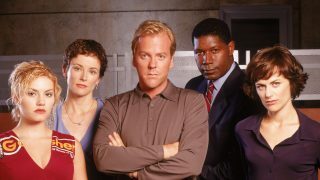 No other show has even attempted to replicate the formula that 24 introduced outside of limited and self-contained experiments. There has been no attempt to create copycats that invite further exploration into the storytelling possibilities and boundaries of real-time drama on television. This is interesting because successful television formulas often spawn other shows that imitate their modus operandi and stylistic attributes. For example, The Office gave birth to other mockumentary sitcoms like Parks and Recreation and Modern Family. All three of these shows utilise single-camera setups to tell stories where the comedic action is interspersed with moments that feature the characters addressing the camera directly. However, the logistical demands of writing and producing a real-time show like 24 are immense. Every hour has to build on the last without any time jumps, multiple story threads have to diverge and converge simultaneously, and characters have to travel from one location to another in timeframes that make sense. As co-creator Robert Cochran once said, this requires a meticulous level of detail just to make it fit let alone make it interesting. For this reason, no other show has emulated the mechanics of 24. No other show has attempted to use a combination of real-time, ticking clocks, and split-screens as important storytelling and stylistic devices. Although a selection of high-quality and cutting-edge shows are available to watch, 24 remains a beacon of uniqueness in a sea of homogenized and barely distinguishable programming. Despite this, it seems unlikely that shows like LOST and Breaking Bad would have emerged without the influence of 24. The show established a precedent for complicated story arcs and high production values as well as a willingness to make bold creative decisions that risked alienating or upsetting the audience. 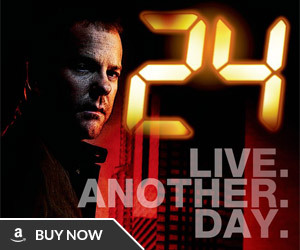 The modern television landscape simply would not be what it is today without 24. 24 was the first of many shows that not only respected the intelligence and discipline of the audience, but also trusted that they were capable of keeping appraised of plot and character developments from week to week. The show was among the first television equivalents of a page turner, where each episode is one chapter and each season is one book in a larger series. This is now a hugely popular approach to television storytelling. Furthermore, starting with its fourth season, 24 was the first show to be broadcast over 19 weeks without hiatuses. This had the benefit of giving viewers a pattern to settle into and allowed for multi-episode, movie-length events. Additionally, it helped ensure that the momentum of the series was never adversely affected by scheduling interruptions. This once huge risk is now a fairly common approach for serialised and procedural shows alike. Finally, one of the most indelible elements of 24 is its tendency to kill off main characters without warning. Shows like Game of Thrones, The Walking Dead, LOST, and even Grey’s Anatomy have followed suit, sometimes broadcasting episodes that end in literal bloodbaths. Rather than turn viewers off, these events generate even more interest given the extent to which they can affect other characters and shake up the status quo. 24 explored all of these previously uncharted territories, normalising and popularising ideas before they were seen as acceptable let alone desirable. In many ways, the show is singularly responsible for reshaping the sensibilities of TV executives and audiences around the globe. For this reason alone, 24 is one of the most important television shows since the turn of the century. In broad terms, the fundamental framework of the show has remained unchanged in the fifteen years it has been on the air. Each season depicts a 24-hour day in real time as a group of characters attempt to prevent or mitigate terrorist attacks of various magnitudes while dealing with a variety of distractions. These include intrapersonal and interpersonal issues, treacherous colleagues, crippling bureaucracy, and corporate corruption. On one hand, the unwavering commitment to this formula is a testament to its strengths. At its best, 24 is exceptional in its inventive and relentless real-time storytelling. Its knack for creating stunning twists, its penchant for powerful cliff-hangers, and its ability to deliver quiet character moments against a backdrop of catastrophic events and explosive action scenes is unparalleled. Few other shows match up to 24 when it is firing on all cylinders. On the other hand, the steadfast refusal to reinvent this formula can also be seen as an indictment against the series. This is especially true in its later years when, at its worst, 24 was bogged down by derivative plotlines (moles), tired tropes (torture), gratuitous deaths (Curtis Manning), soap opera drama (the Bauer family), and a tendency to stretch even our elastic suspension of disbelief too far (the White House attack). Some people will argue that 24 ran its course years ago. This might be true. There is no question that the show has sometimes struggled creatively. There have been moments where it has lacked inspiration or threatened to delve into self-parody, but these are forgivable transgressions given that 24 is one of the most densely plotted shows to grace the medium. It’s astounding that the writers got so much mileage out of the concept. Arguably, the show remains compelling because it has several themes that it has never once lost sight of. At its heart, the show is a tale of tragedy and isolation. Characters realise on an explicit or implicit level that their actions will lead to physical and/or emotional suffering. Characters both inflict and endure pain, including torture, imprisonment and the loss of loved ones. This disconnects them from their humanity and isolates them from the world. 24 is also a tale of heroic nihilism and moral relativism. Characters push through the inevitability of pain and hopelessness to get the job done. They are prepared to act in questionable or even reprehensible ways for the greater good. Laws and protocols are ignored to achieve quicker results, potential suspects are tortured to extract information, and a handful of innocent lives are sacrificed to save a greater number of people elsewhere. 24 depicts a bleak and hostile world where our moral principles are constantly being questioned, our way of life is constantly being threatened, and thousands of lives are constantly in danger. It depicts a world where the heroes are expected to give their lives and sacrifice the lives of others without hesitation if necessary. It depicts a world where the survivors become damaged and sometimes corrupted individuals themselves. 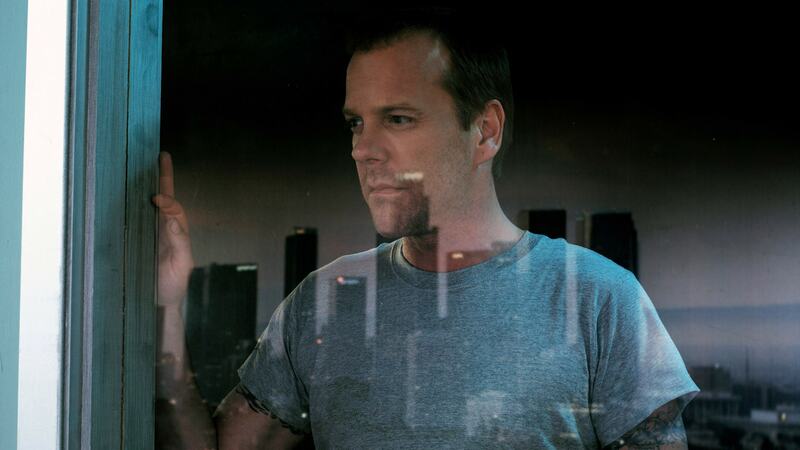 The character of Jack Bauer is the embodiment of these themes. He is a damaged hero whose chance at living in a civilised world has become increasingly distant with each passing season. Even if he were to reappear in the future, it is unlikely that he will ever return to anything resembling normality. That door firmly closed in season eight when Jack finally broke after the death of Renee Walker and he was denied judicial justice. Jack Bauer’s pursuit to save lives and prevent terrorists from carrying out their plans invariably results in him having to sacrifice his personal connections to the world. His humanity is increasingly diminished and his reality seems irrevocably broken. Yet he never surrenders. There are moments when grief and desperation threaten to engulf him, but he stands tall against the crushing nihilism – to live and save another day. 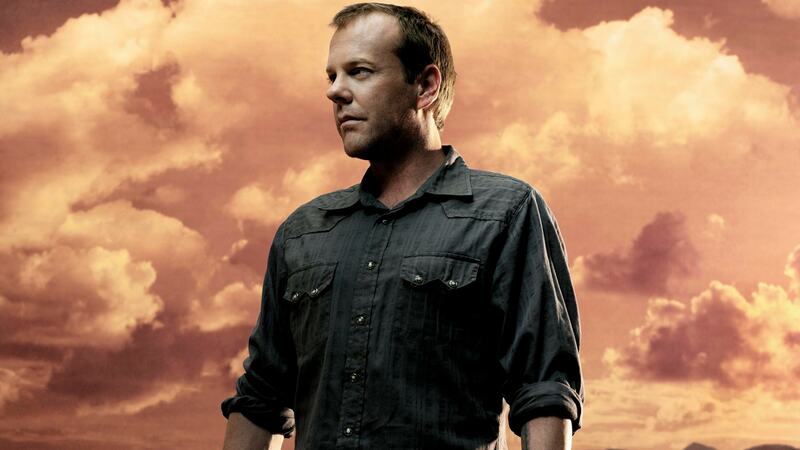 24 continues to demonstrate a keen awareness of its history and its themes. This has given the show an incredible tonal consistency even when new characters, new settings, and new threats are introduced. Even Legacy, the first season not to feature Jack Bauer as the lead protagonist, feels like 24 at least on a tonal and aesthetic level. As 24 takes its first tentative steps into a post-Bauer era, it’s worth re-evaluating the story of this now mythic character. In many ways it still feels unfinished, but there is a strong possibility that Kiefer Sutherland will never appear in the role again. Can enough closure and satisfaction be gleaned from his story given that his submission to the Russians at the end of season nine might be the final image we have of him? It’s clear that the series never had any grand design or specific endgame in mind. It’s a well-known fact that the writers rarely know how a season will end let alone where the series will be in a year or more. This has often been a good thing for the show. Spontaneous developments such as Nina’s betrayal and Logan’s treachery are some of the show’s greatest moments precisely because they were never planned in advance. Even so, analysis of the show has identified an interesting structure that started becoming apparent halfway through its run. Retrospectively, it seems possible to break down the series into three distinct trilogies that each have their own story and character arcs but also demonstrate larger narrative and thematic movements. It’s even possible to identify an overarching trajectory for Jack Bauer that reaches a natural end point in season nine. This was almost certainly unintentional, but it is still an interesting perspective that is worth considering and which this project will hopefully elucidate. With this in mind, the central aim of this project is to analyse each season and provide a holistic interpretation of the series. Peripherally, it also aims to analyse the journey of other prominent characters, including Tony Almeida and Chloe O’Brian. The seasons will be analysed on their own merits, but they will also be analysed in terms of their placement in their respective trilogy as well as their impact on the series at large. Oh boy, wait until we reach Day 6… this is going to be GOOD. Naah, more interesting will be Legacy. I’m not sure I’ll even cover Legacy. I won’t rule it out, but I have absolutely no interest whatsoever at this stage. I think it would be a mistake to omit it completely – in many ways it represents the show’s flaws all coming to a head at the worst possible juncture. For a lot of people I think it was the first time the bad outweighed the good in a way that was impossible to ignore. Who knows if anyone in charge even visits this site, but I think it’s crucial to give them some feedback on what they did wrong (most of it) and what they did right (much less), if there’s ever going to be a successful follow-up. You make a good argument, Big Boss. I’ll take that under serious consideration. Hopefully I can summon enough interest when the time comes to write it. 24 Spoilers has been incredibly gracious giving me the opportunity to post these articles here. I can’t imagine a better place to host them. He’s taken care of the formatting, the images and even came up with the title for the series. I think it looks great and I’m very thankful for his help. Wow, I didn’t know the author of the above was YOU, Brad… always welcomed, valued, and greatly enjoyed reading you’re comments on this site over the years, so I know this is going to be a barn-burner of a series. Will you review Redemption separately or include it with Day 7… the two are of a whole and should be reviewed and analyzed as such!? And if anyone can put up a spirited defense of the criminally-underrated Day 8, it’s you… I await each installment with baited breath, I just hope you don’t get TOO political in any analysis, ’24’ works because it’s not a partisan show, but much of the commentary surrounding it was, however, and I’m sort of hoping none of the upcoming reviews fall into that particular trap… but with you, I trust it won’t. Just be gentle with Day 6 ;-)… it has it’s problems, but it means well and has a good heart. Rest assured, I have little interest arguing about politics in these articles. Mostly, I want to talk about theme and character as well as highlight the strength and and weaknesses of the storytelling. At this stage, I’m probably going to cover Redemption and season seven as a single unit. I had the easy part, all credit goes to your amazing articles, Brad! Hopefully people will look back at 24 fondly like this, and recognize it for being a groundbreaking and important series rather than just a show that overstayed its welcome. Not wanting to sound even remotely argumentative, but when exactly do some people who may think ’24’ overstayed it’s welcome wish it had or should have ended in their opinion? Honestly, I’d love to know/hear other’s opinions on this matter. The show undeniably hit it’s creative peak with Day 5, but there was no way it would have ended at THAT point (for any number of reasons), and who was to know it would arguably be the final season of the show’s ‘golden age’… hindsight is 20/20 as they say, and it’s only in hindsight can some look back and say it should have ended earlier. With the exception of Day 6’s much-discussed problems, there’s very little of actual substance to complain about during the series run to date, which maintained a remarkably high quality threshold throughout (Legacy not included, we’re talking strictly about the original iteration), I enjoy each and every season, some are better than others overall – but all have incredible episodes and scenes throughout – but I take each one on it’s own terms, each one has it’s own respective pro’s and con’s, and am glad we got as much as we did (thus far)… my own humble, fallible, and entirely subjective opinion, of course. I find quite a few people identify the season 4 finale as the perfect series finale. Some people have even suggested re-writing large chunks of season 4 to retrofit elements of season 5 for the perfect ‘final season’ (which fundamentally doesn’t work, of course). Personally, I’m pretty happy with the way the original series turned out and how it looks as a complete unit now. I’ve even grown to appreciate LAD, which I really disliked initially. Writing these articles has helped immeasurably. I’m one of those people. Season 4’s ending would have been a perfect series ender. But they used that, so yeah, kinda screwed there. As many times as FOX has re-released and re-packaged the first 6 seasons on DVD, it’s absolutely ludicrous that they are not on Blu-Ray yet. They had 3 prior chances to release them on Blu-Ray: When season 7 was released on Blu-Ray, when season 8 was released on Blu-Ray, and when Live Another Day was released on Blu-Ray. Now there is a 4th chance with the Blu-Ray release of Legacy, but I don’t see seasons 1-6 on Amazon in the Blu-Ray format at all. Fox should really just discontinue the DVD versions of 1-6 and replace them with Blu-Ray versions for retail. If I can watch them in 1080p on Amazon Prime then Fox has no excuse not to release them on Blu-Ray already. FOX is simply milking the product. DVD still sells very well and way more than Bluray, apparently. 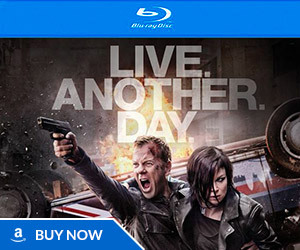 So FOX will release it on Bluray when they feel they are done selling the DVDs and they find an opportunity to cash in on a Blu release (like when a Jack Bauer feature-film is possibly made or when they need to boost the ’24’ brand). I am really looking forward to this! 24 is my all time favorite show. Thank you for doing this! What do you mean looking forward to it??? I hope it is renewed but is moved to the 9PM slot instead of 8PM. Also, as the article says it is in needed of some artistic renovation. I have said that the best hope of ever seeing Jack Bauer again on screen is if there is a 24 on the air (on what ever network). I was surprised that Designated Survivor has a lower rating (1.27) than did 24 Legacy (1.40). BTW, did anyone notice that American Idol is returning to ABC not to FOX. Apparently FOX lost out on the bidding. So, why does 24 have to be shown on FOX. They should put season 2 up for bidding. It may do better on Amazon Prime or Hulu?? Moving to the 9PM time slot wouldn’t really change anything, it would still be airing against the same shows since Dancing with the Stars and The Voice air for two hours on Mondays. (And those two shows are aimed at completely different demographics than “24” anyway, I don’t think there’s much audience overlap there).